« Older: Made my first laser cut thing! I’m looking at how people design help/Q&A communities to support a wide range of users. 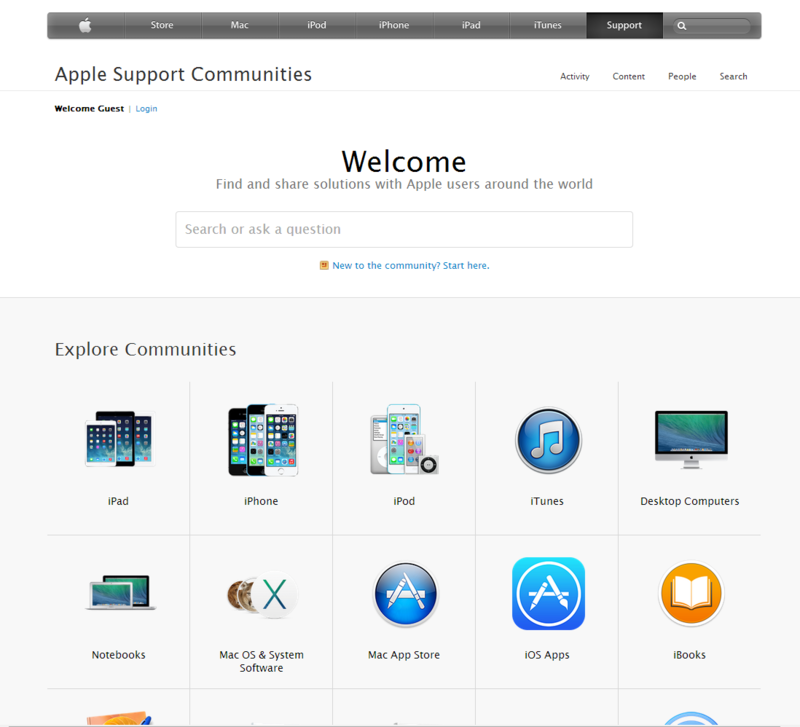 After looking at Adobe’s examples, I’d like to focus on another company well-known for design savvy: Apple. The main overview page has a big, simple Ask a Question widget that dynamically searches as you type. Underneath it, there are icons to the featured communities. Clicking on an icon shows icons for subcommunities. All the communities I’ve checked out seem to follow these lines. Big group icon, group title, ask a question box right underneath the group title. There’s a manual slider with a custom category filter that loads the discussion list using AJAX, avoiding a page refresh. Some of the communities have a Top Participants widget along the bottom. The Apple communities focus exclusively on Q&A – they don’t link to tutorials or other resources to help people get better at using things. IF you click on the Content link, you can find tips, but they’re hidden and tend to fall off the recent content list. The Content link lists content for all the communities, not the particular community you’re interested in – the Apple discussions theme doesn’t include a link to the content for your particular community. The discussion-focused approach is interesting, but probably a little too severe. Providing links to tutorials and frequently asked questions can help people who are getting started and don’t know what they don’t know. 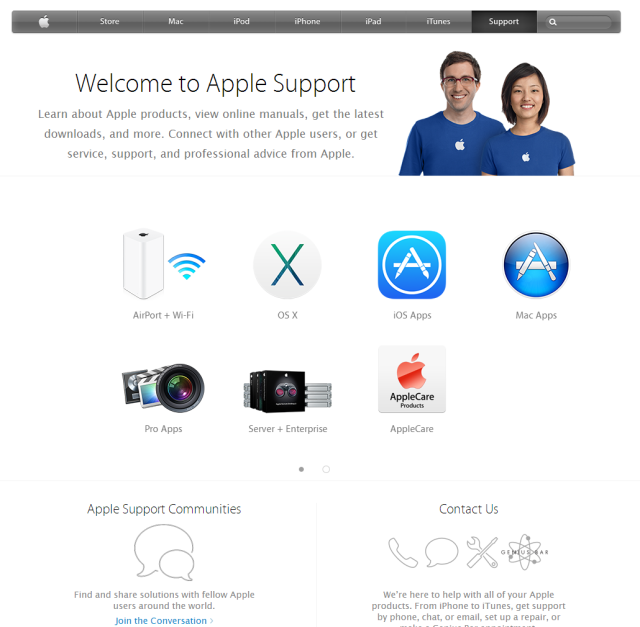 This information is available elsewhere (ex: http://www.apple.com/support/mac/), so that could explain why it’s not duplicated in the support site. 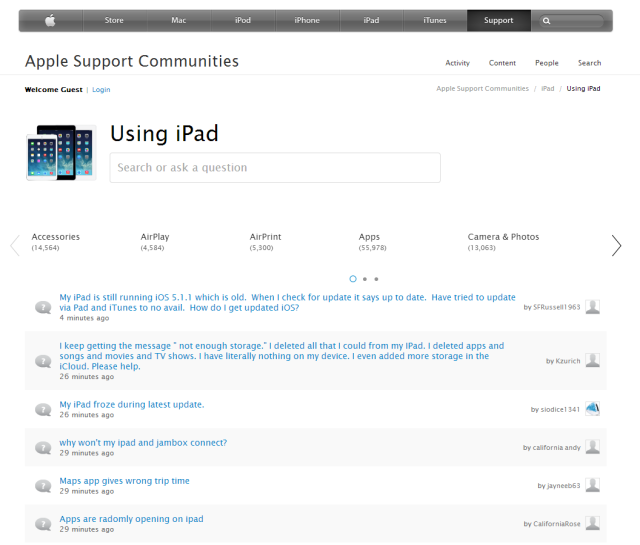 Anyway, Apple’s support communities are clean and stripped down to the essentials. 2006: Short-term plans: happy with research, thinking about internship? 2005: semi-form letters: hooray for open source!